Welcome to the First Issue of Our Newsletter! 1. 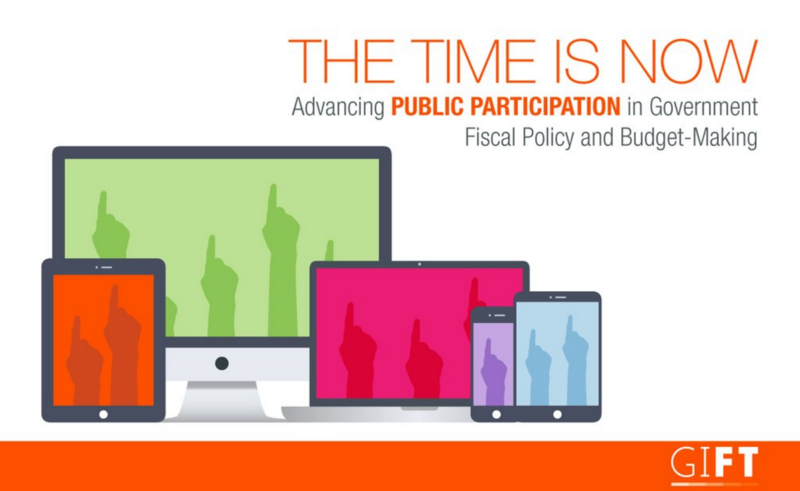 Advancing Global Norms on Fiscal Transparency: GIFT helps strengthen the normative architecture for fiscal transparency norms and pursues the adoption of a new set of principles on public participation in budget making. 2. Increasing Peer-Learning and Technical Assistance: GIFT continues to facilitate the Open Government Partnership-GIFT Fiscal Openness Working Group to work with governments and VSOs to improve fiscal transparency and support each other. We also host a global community of practice. 3. Aligning Incentives Evidence-Based Research: GIFT research agenda is focused on advancing research on evidence of incentives, development impacts, practical approaches and innovations in fiscal transparency. 4. Harnessing New Technologies and Open Data to Engage the Public: GIFT is developing an open fiscal data specification for easy publication of budget data, use of visualization tools, and re-use of budget data for governments and the public. Visit our website to learn more and don't forget to sign up to our Community of Practice if you haven't! It took nearly a year but we succeeded! After intense research, discussions with experts from around the world at half a dozen regional workshops, and a very active web-based public consultation, the 10 principles are up for discussion in the upcoming stewards meeting the first week of December in Washington DC. The full document is coming up very soon, but the key words are: open, inclusive, direct, timely, accessible, well informed, meaningful, sustained, complementary, and CSOs transparency. Once a final version is approved, the work will shift to deciding the next steps. 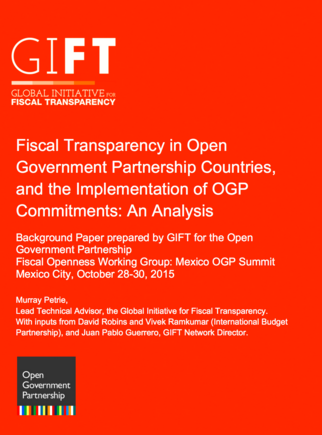 At the Open Government Partnership Summit in Mexico City last month and the associated meeting of the Fiscal Openness Working Group, it was clear there is strong demand for practical guidance on just how state institutions should engage the public. We could contribute by developing a set of guidelines on how to implement GIFT public participation principles, differentiated by executive, legislative and audit institution. A subsequent development could further distinguish a soft normative instrument or standards, differentiating basic, good and advanced good practices, to recognize widely different country circumstances and capacity. Stay tuned! To read more about the principles and the consultation click here. We are organizing the “GIFT Public Participation in Fiscal Transparency Seminar: Good Practices and Lessons Learned” the morning of December 1st. 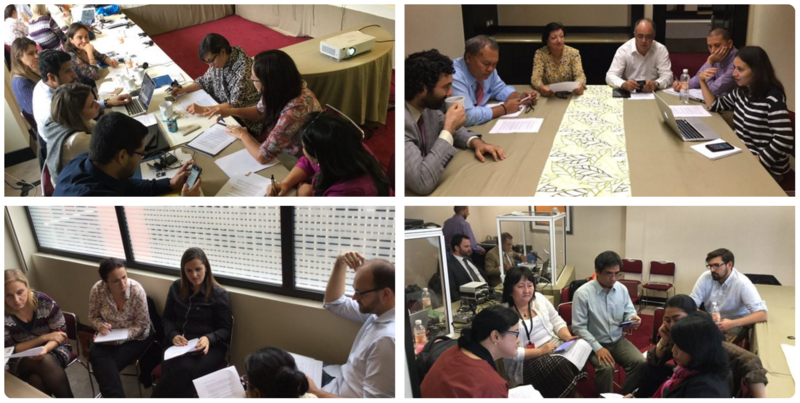 During 2015, GIFT has been researching in detail the public participation mechanisms used in eight countries. In the seminar, we will present about 30 different mechanisms we found, differences between the different branches of government, and the de jure and de facto realities. Jonathan Fox, Brian Wampler and other academics will present a comparative analysis and lead a discussion about lessons learned. Following the seminar, we will have our last stewards meeting of the year. To access our case studies click here. Fiscal Openness Working Group Session! The Open Government Partnership (OGP) Summit in Mexico City the last week of October was the perfect opportunity for members of the Fiscal Openness Working Group (FOWG) to meet in a two-day session of rich discussion and knowledge sharing. Attendance included representatives from ministries of finance, legislators, members of civil society organizations, and officials from information commissions, control and audit institution of more than 15 countries. Discussions included final feedback about the 10 public participation principles that GIFT is working on, findings of the 2015 Open Budget Survey, and whether there is a need for an international instrument on Fiscal Transparency, Participation & Accountability, among others. GIFT also hosted two fully packed sessions during the Summit. One was about the public participation mechanisms and tools that are increasingly being incorporated in fiscal policies. The second one was about the benefits and challenges of collaboration between ministries of finance and civil society organizations in building a portal for proactive disclosure of fiscal information. For more information or to join the FOWG click here. Which countries are achieving their commitments? Find the answer to this and many other questions about the Open Government Partnership's fiscal transparency commitments in this analysis of almost 1,000 commitments. Does a citizen budget make it easier to understand the budget? 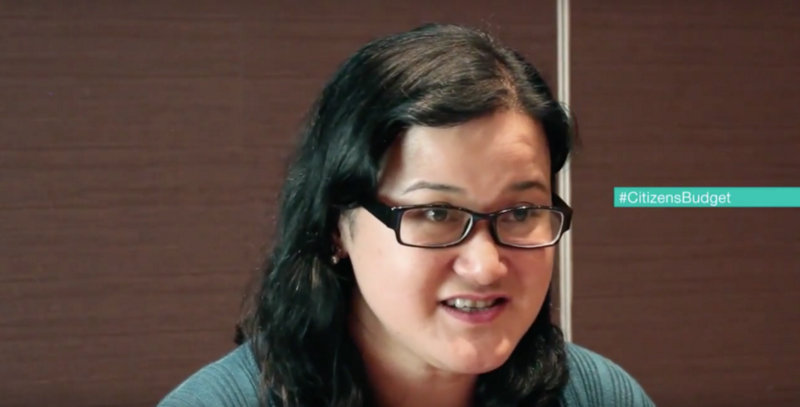 Janet Abuel, Undersecretary Department of Budget & Management in the Philippines, shares some insights. More GIFT #Quotes videos: www.fiscaltransparency.net/publish. GIFT Network Director, Juan Pablo Guerrero, and IBP Executive Director, Warren Krafchik, discuss how participation is the next transparency frontier for OGP. Read other blog posts here. Copyright © 2015 Global Initiative for Fiscal Transparency - GIFT, All rights reserved.